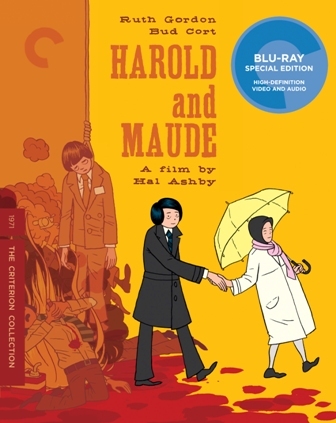 CHICAGO – People adore “Harold and Maude.” When the Criterion Collection announced the release of Hal Ashby’s 1971 dark comedy earlier this year, I’ve never seen so many “Likes” on Facebook for the announcement of a DVD/Blu-ray release. What is it about this film that has allowed it to sustain for over four decades? Pick up the Criterion DVD edition and decide for yourself. The film’s detractors (Roger Ebert is notoriously not a fan) might have argued against the film’s simple approach to life and death, depression and happiness but I think that’s what has made it so timeless. We will always deal with the issues relevant to “Harold and Maude” — how we see the world and how we respond to its problems and our own sadness within it. 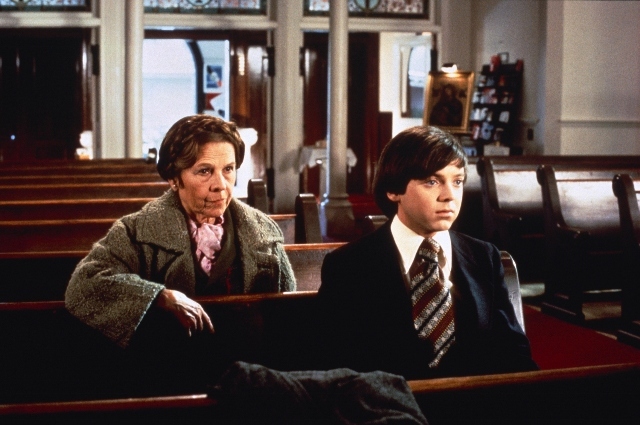 At its core, “Harold and Maude” is a film about a young man (Bud Cort) dealing with severe depression by meeting a woman (Ruth Gordon) who embraces life. The film has a massive cult following who adore its themes of valuing life and its recognition that age is merely a number when it comes to happiness. The special features on “Harold and Maude” are a little light although the company did turn to an expert on Ashby for the commentary track. Other than that audio dissection of the film, the Criterion edition includes some audio excerpts from a 1972 interview with Ashby, another collection of excerpts with screenwriter Colin Higgins, and a new interview with singer Yusuf/Cat Stevens about his wildly influential soundtrack. With the idiosyncratic American fable Harold and Maude, countercultural director Hal Ashby fashioned what would become the cult classic of its era. Working from a script by Colin Higgins, Ashby tells the story of the emotional and romantic bond between a death-obsessed young man from a wealthy family and a devil-may-care, bohemian octogenarian (Ruth Gordon). Equal parts gallows humor and romantic innocence, Harold And Maude dissolves the line between darkness and light, along with the ones that separate people by class, gender, and age, and it features indelible performances and a remarkable soundtrack by Cat Stevens. “Harold and Maude” stars Bud Cort, Ruth Gordon, and Vivian Pickles. It was written by Colin Higgins and directed by Hal Ashby. The Criterion edition was released on Blu-ray and DVD on June 12, 2012.